"From Daffodils and Magnolias to Conifers and a River Walk"
Join us on April 17 for a long-day trip that will leave you dreaming in technicolor! 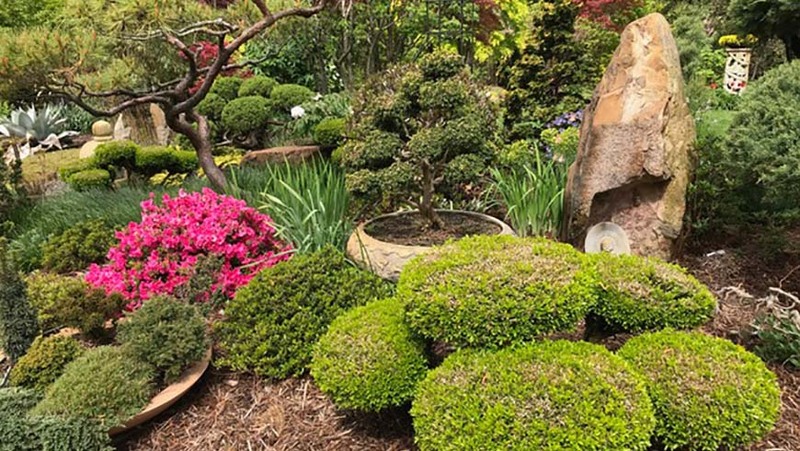 We will visit two of eastern Virginia's beautiful and inspiring gardens, with box lunches provided at Brent and Becky's Bulbs and a stop for dinner to break up the journey home. At Daffodil Lane, Brent and Becky's Bulbs features two very different gardens. One, near the shop, is an eight-acre teaching garden with 21 themed garden rooms, each populated by woody plants, including collections of magnolias and hollies, and showcasing all the bulbs represented in Brent and Becky's Bulb catalog. Brent says mulch, ground covers, and "editing of unwanted wildflowers" shows people how to avoid using chemicals on the raised beds and berms of this young garden. The second garden is five acres of a field of daffodils showing bulbs they sell, interplanted with perennials, and the gardens around two homes which showcase a collection of foundation plants with different textures, colors, and flowers. Be sure to visit the store where bulbs, garden tools, and decorative objects are available. Two books on bulbs authored by the Brent and Becky are also available in the store. 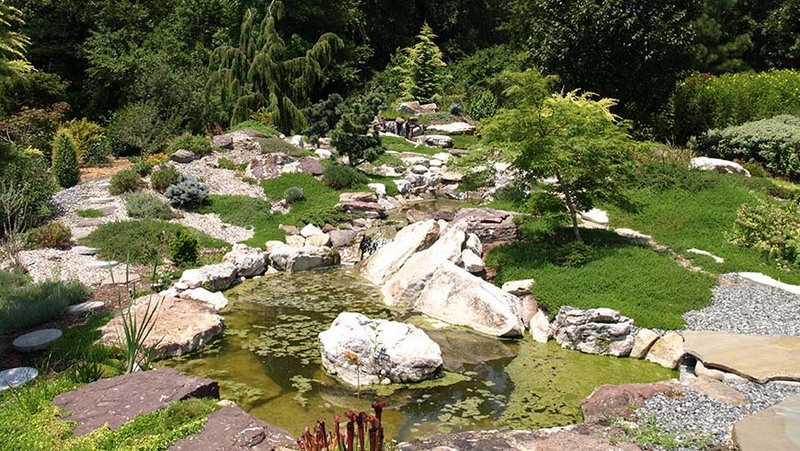 Heading south again, we will stop at the home and gardens of Linda and Bill Pinkham, where one of the finest conifer rock gardens anywhere is a main feature of the property. Once you enter the lawn area, smaller gardens and a view of the James River catch the eye. The ground slopes down a hill to a garden that winds its way along the edge of the river, where Linda and Bill have experimented with plantings, including many rare specimens, that allow for occasional flooding or very dry conditions, following the contours of the land. Intimate garden areas near the buildings are also fun to explore. Available for sale will be some of the daylily crosses Linda has bred, along with plants that Bill has propagated. $80.00 for members, $100.00 for nonmembers. Advance registration is required. Please register online using our registration e-store. Registration is limited to 40 people and is considered complete when payment is received. Program cancellations can be made up to two weeks before the program's start date. A 15% cancellation fee applies. JC Raulston Arboretum, 4415 Beryl Road, Raleigh, NC 27606.